Frame tents are free-standing and can go on grass, asphalt, concrete and just about any other large flat space. It does not have any center poles inside the tent, and so, the square footage is not compromised at all by having to plan around the inside poles. Maximum tent capacity decreases when adding equipment such as staging, buffet tables, a bar or dance floor to your tent. Please don’t hesitate to call us if you need a little help determining what size frame tent you need for your event. 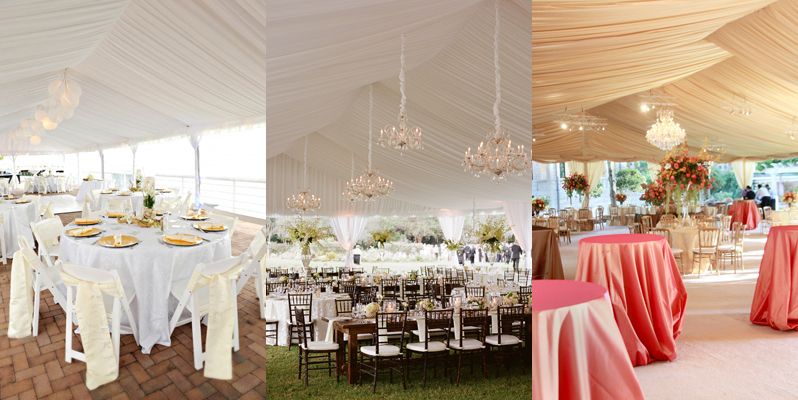 Pictured above: Oconee Events’ wrought iron, crystal, and spiral chandeliers. Choice of black or white strands with LED bulbs. If cafe lights are hung inside your tent, the price is between $1-2 per linear foot. If cafe lights are hung outside your tent, the price is between $2-3 per linear foot. The cheapest option, obviously, is to just leave the tent with exposed framework. Looks good to us! Pictured above: Frame tent rental at Ashford Manor Bed and Breakfast in Watkinsville, GA with exposed “ceiling” framework. 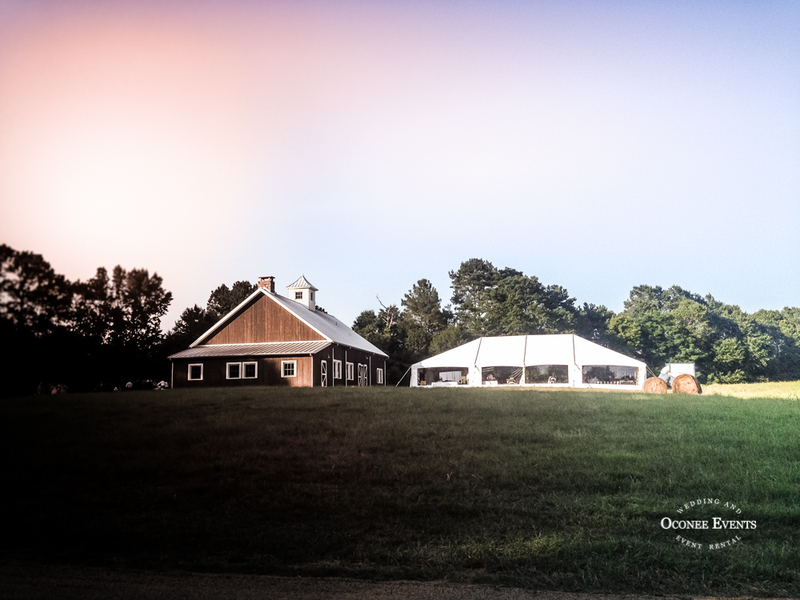 Pictured above: Frame tent rental in Rutledge, GA with pole drapes on legs. Pictured above: Frame tent draped with tent liner.